The other LaHave Islands are protected from the sea by the large, uninhabited Cape LaHave Island to the south. It is ideally reached from the sheltered north side by canoe, kayak or rowboat, as eelgrass will tangle in an engine propellor. 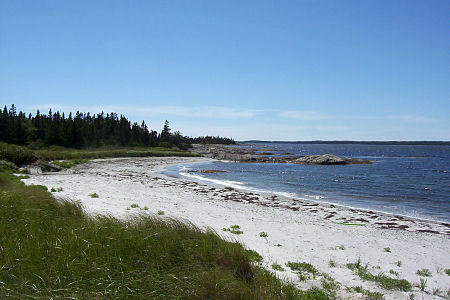 This is a secluded beach on Cape LaHave Island facing Green Bay.